It was good news for Pennsylvanians recently when the state’s Supreme Court ruled that individuals injured after an auto accident could stack their insurance. The 5-2 decision involved a motorist injured after a motorcycle accident, and the insurance company Geico. The injured motorist had purchased insurance coverage for the motorcycle he was riding, as well as for two additional vehicles. Stacking his insurance entitled him to $250,000, but Geico denied him the chance to stack his policies due to the exclusions on the policy. After the injured motorist took the case all the way to the Pennsylvania Supreme Court, they agreed with him. They found that denying coverage based on exclusions violated the Pennsylvania Motor Vehicle Financial Responsibility Law. Unless the coverage for uninsured motorist (UM) and underinsured motorist (UIM) is waived, stated the court, stacking insurance policies is allowed. In Pennsylvania, all drivers are required to carry a certain amount of personal injury protection (PIP). Drivers also have the option of purchasing UM and UIM on their insurance policies. This latter coverage protects the driver in case of an accident involving a driver that has no insurance, or does not have an adequate amount of insurance to cover the cost of injuries. 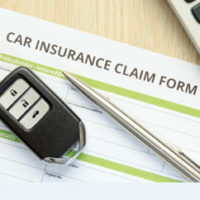 When there are two or more vehicles in the household, and they each have their own separate insurance policies, drivers can stack the UM and UIM portion of the policies. This can provide them with the benefits necessary to cover the cost of injuries. Now, as decided by the Pennsylvania Supreme Court, drivers have this right even if exclusions are written into the policy. Should You Waive UM and UIM? The insurance company must also always give motorists the chance to purchase UM and UIM insurance although, motorists can choose to waive it. This is also stated in the Motor Vehicle Financial Responsibility Act. Most often drivers that waive this insurance do so because it can reduce insurance premiums. However, this should never be done. When this insurance is waived, motorists will not have the opportunity to stack their insurance policies if seriously injured. Any settlement offered by the insurance company is then limited to the amount of personal injury protection on the driver’s policy. It is highly recommended that anyone living in a household with more than one vehicle never waive the option of UM and UIM. The cost of stacking is very small compared to other areas of an insurance policy, and compared to the cost of serious injuries. There are many laws governing insurance policies, and how insurance companies must operate. However, most insurance companies will still use different tactics to prevent paying out on policies. It’s for this reason that anyone in an accident needs to speak to a personal injury attorney in Scranton before speaking to the insurance company. If you have been in an accident, or your insurance company has denied stacking your insurance benefits, call Haggerty, Hinton & Cosgrove, LLP today at 570-344-9845 or fill out our online form. We will ensure you are treated fairly, your rights are upheld, and that you receive the full amount of compensation you’re entitled to.